In Indiana, couples often disagree on property division, child custody or other terms of the divorce. You have the right to contest your spouse's divorce petition, but state laws make it tricky to challenge the divorce altogether. Many couples in Indiana try to come to their own agreement for the terms of the divorce in order to avoid the time, costs and unpredictable nature of going to court. In Indiana, most couples divorce on the grounds that the marriage is irretrievably broken, meaning that neither spouse is to blame for causing the divorce. The only other available grounds for divorce are incurable insanity, impotency or a felony conviction. When the grounds asserted do not place blame on either spouse, it is difficult to challenge the reason for getting divorced. As a result, the grounds for divorce are generally not contested, but rather the disagreement is usually over the terms of the divorce, including property division, support and custody. In Indiana, the divorce process begins with filing a petition in the Domestic Relations Court, a division in the Court of Common Pleas, in the county where either your or your spouse lives. If your spouse filed the petition, she must serve you with a copy of the petition. After receiving the documents, you have 60 days to respond to the contents of the petition or assert any "counterclaims," claims you may have against your spouse that she did not bring up, such as spousal maintenance. If you do not respond within 60 days or show up at any scheduled hearings, the court may dissolve the marriage without your input and give your spouse everything she asked for in the petition. When the divorce is contested, the court may schedule a provisional hearing to determine temporary arrangements while the divorce is in progress. At the provisional hearing, either spouse may request temporary child support or spousal maintenance, ask the court to temporarily set the child custody arrangement, or provide who has temporary ownership of certain property such as the marital home. Temporary orders only last until the divorce is finalized. If you and your spouse are unable to agree to a divorce settlement, an Indiana court may require that you attend mediation. During the mediation, a neutral third party will help you and your spouse come to an agreement on unresolved issues. 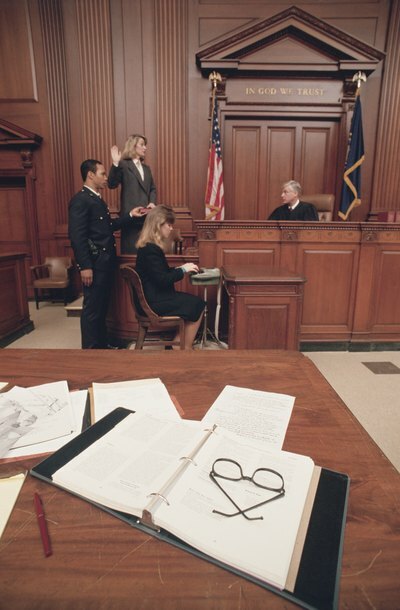 If you cannot come to an agreement, the remaining issues will be decided by the court following a trial. At trial, you must present evidence to demonstrate why you should receive what you are asking for in the divorce, such as spousal maintenance, child support or custody of the children.